Of course, this feature is only available at the time of writing within the Xbox One Preview Beta, with some members in the lower-tier Delta ring (where changes come more slowly but are more stable) having access. The Xbox One Preview works similarly to the Windows Insider Preview on Windows 10, allowing players access to less stable, new features before everyone else. 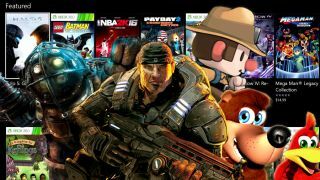 It’s still unknown when this feature will make it to Xbox One Game Pass for everyone, but if it’s already in beta testing, it can’t be far off. This should make the battle between Xbox One vs PS4 much more interesting, as Sony’s console has no such game service feature to speak of, much less one that serves up games super fast.